More Agreeably Engaged: Lory Lilian...Her Hobby and Her Passion! Lory Lilian...Her Hobby and Her Passion! It is with great pleasure that I welcome, Lory Lilian, my guest today! She shares her love of PnP and how her writing became a reality. I am so glad that it did as I have read and enjoyed all three of Lory's books. It is wonderful to have her also share an excerpt from her latest, His Uncles' Favorite. There is a giveaway too! More about that at the end of the post! Thanks, Lory, and welcome! I love your picture, by the way! 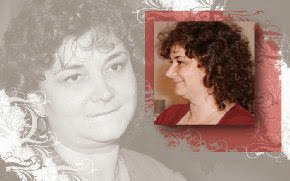 My name is Lory Lilian, I am 44, Romanian, and have been in love with Pride and Prejudice since I was 13. Everything related to Pride and Prejudice and to Darcy and Elizabeth is my hobby and my passion. Pride and Prejudice1995 had a dramatic and devastating impact on my fascination with Darcy and Elizabeth. When I first saw the miniseries, I had already been in love with P and P for many years, but I never consider imagining anything beyond what Jane Austen wrote. I started to fantasize about Darcy and Elizabeth's extra scenes right after I saw the miniseries and discovered that Colin Firth was my perfect Darcy. His gazes at Elizabeth, his silence, his body language, his small gestures, the expression on his face, the pain on his face when he was rejected, the embarrassment when he met Elizabeth at Pemberley, the happiness when he stared at Elizabeth at the pianoforte, his briefly holding her hands at the Lambton Inn and their final kiss in the end, all these were the reasons that made me start writing fanfiction. Each of Colin and Jennifer's glances, each of their interactions, each of their sparkling dialogs were inspiration for my writing, and all I had to do was to put them in different circumstances and to guess how they would react, based on what I had seen and read. I have now three books published by Meryton Press — and that was another happy moment of my life, as I never imagined my passion would come out in print form! I still am surprised, flattered, and grateful to see so many people interested in buying my books, especially since they were available online for free. All my books (Rainy Days, Remembrance of the Past and His Uncle’s Favorite) are PnP variations. In all three I tried to keep the original story line as close to the original as possible and to add some original characters, original situations … and original hot scenes :-). People on JAFF sites call me "Queen of Mush" - I wonder shy LOL. 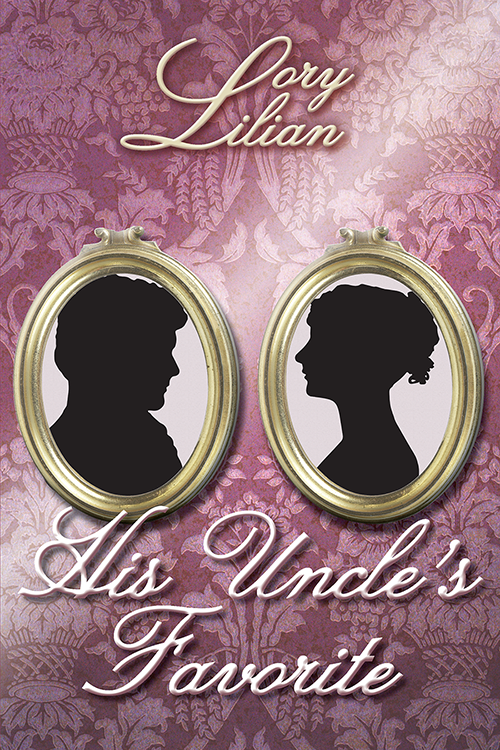 My latest book – His Uncle’s Favorite – has been available in eBook format for a week now. There will also be a paperback version out very soon, but in the meantime here is a small extract from it (different than the Kindle free sample). Enjoy it and thanks for your interest! A few minutes after the play resumed, Elizabeth felt herself shivering and wondered whether it had turned suddenly cold in the room or it was just her impression. She looked around and saw Georgiana and Lady Selina putting on their cloaks. Mrs. Gardiner was already wearing a thick but elegant shawl so Elizabeth decided to put on hers. She slowly turned to the back of her chair, looking for her shawl, but she could not find it — surely, it had fallen down. Trying not to draw attention towards herself, she blindly searched around the chair on her left. She remembered seeing it there during the interlude, and she proved correct as she felt it immediately. The next moment she frowned — the shawl was picked up and handed to her by Darcy, so the moment she took it, her fingers touched his and remained still. They were both seated on their chairs, apparently attentive to the scene; only their left hands were joined lower, on the shawl, waiting. His fingers moved slowly, searching for hers through the soft fabric; she did not dare move her hand — she did not dare even breathe. But her fingers, of their own will, slid along and met his and then entwined, but only for the length of a heartbeat. He withdrew his hand, together with the shawl, stretched the fabric and gently tried to place it on her bare shoulders. She leaned forward a little to allow him enough space; while arranging the shawl, his fingers briefly caressed her neck, and his touch felt softer than the fabric that finally covered her. His hands lingered on her shoulders a moment longer than needed and finally withdrew, reluctantly. She was no longer cold as every spot on her skin burned. I enjoyed your post, Lory. Thank you for being my guest and for sharing your passion with us! I think there are many of us who have the same passion and love of PnP and all things Jane Austen. It does help to know that the obsession is not one's alone! I want to thank Michele Reed and Meryton Press for the giveaway. Ms. Reed is kindly giving away a trade paperback AND eBook for your eReader, both international to two lucky winners. To be entered leave a comment below. I always love reading your thoughts! Good luck to all. Be sure to include your email address in the comment. To prevent unwanted spam, put your email address with an (at) instead of @. Winner will be chosen in a random drawing. Giveaway ends at midnight, July 8. 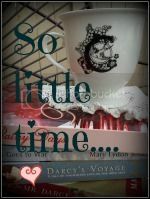 I love reading P&P fan-fiction and have discovered them thanks to visits to Austenesque blogs that promote her works and books inspired by her novels and her life. The excerpt you provided is tantalising and I have added your new book to my reading list. Thank you, Lory. I'm happy that you stopped by. All the blogs do introduce to so many wonderful books and authors don't they! I am also a big fan of Pride and Prejudice, (I saw all the movies and miniseries I could find) and I already read a few stories from JAFF, but what I can tell is that Lory's books are really great, she is really, and I mean it, really talented!!! I have watched them over and over and many of these Austenesque books I have read more than once, Lory's Rainy Days, included! Thanks for commenting. I've read both of Lory's older books and loved her 'mushy' stories as she calls them and extra kudos for writing the stories when English is not her first language. I look forward to reading this latest one too. Yummy excerpt! Sohphia Rose, I think you will love this new one too! It has a very good story. I loved Lord Matlock! Wasn't that a good excerpt! Thanks for supporting my blog! I love Lory's books and I was so happy to see another one coming! I don't have an e-reader, so I'll have to wait until the paperback is available. The new story sounds lovely! I don't think the paperback is too far behind! Glad you stopped by! What a tantalising excerpt, promising yet another lovely story! Thanks for your post Lory, and looking forward to reading your book! Hi Joana. It is great to hear from you! Thanks for coming by and commenting. It is a lovely story. Hi Vesper. I'm glad you have added Lory's books to your wish list. I think you will enjoy them. She knows how to tell a good story. Her supporting characters are always interesting and fun! I have read both of your other books and am very excited to hear you have another out. Great post and thank you for the giveaway! Hi Becky. I'm glad to see you here! Thanks for visiting. I am sure you will like this new book! I did! Thank you all for your supportive, wonderful comments ! I really hope you will enjoy His Uncle (as well as my old stories, for those who did not read them yet :)). I have been checking Amazon daily to buy the paperback version. I can't wait! Hopefully, the paperback will be out soon. I too read P&P many times before the miniseries came out. I absolutely loved it, more so than the version with Kiera Knightly. No one can beat Jennifer and Colin as Elizabeth and Darcy. I was so excited when they reunited briefly for the King's Speech. I loved that scene in The King's Speech too. It seemed the rest of the people in the theater felt the same way! Love your stories and books. Can't wait to read this one! I feel sure you will like it, Jennifer. Be sure and read my review. A comment there earns another chance to win this book! Oh my word, lovely excerpt, how romantic! I'm glad you came by, Ceri! Good luck! Lovely post, Lory! Your new book sounds wonderful and I am so excited to read it! Thanks for the giveaway!! Hi Kelli! Good luck in the giveaway! Thank you all for your warm comments ! will let you know when the paperback version will be out (hopefully very very soon ).